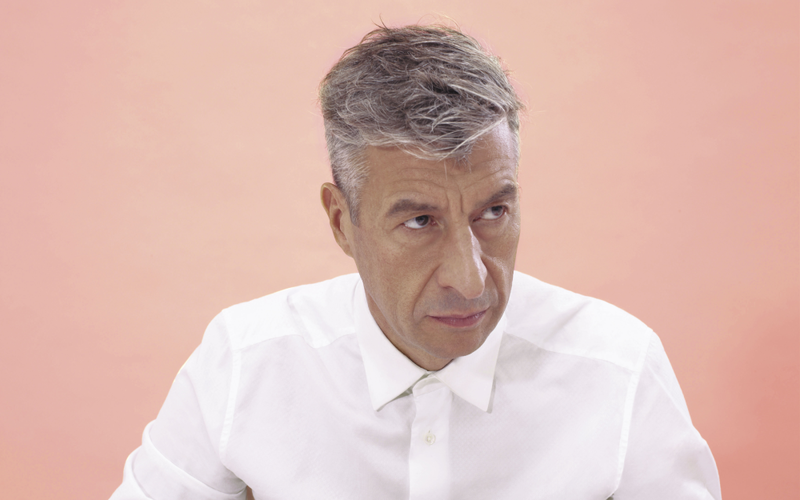 Italian artist Maurizio Cattelan is participating in the 2018 Art Basel Cities Week in Buenos Aires. Photo by Pierpaolo Ferrari. ‘My favorite dream has always been the one in which I get to go to my own funeral,’ says Maurizio Cattelan. Given some of the other kill-your-idols scenarios the Italian artist has conjured up during his career – from a sculpture of Disney’s Pinocchio floating face down and arms akimbo in a kiddie pool (Daddy Daddy, 2008) to a wax figure of Pope John Paul II felled on a red carpet by a sizable meteor (La Nona Ora, 1999) – the prospect of witnessing one’s own entombment seems almost tame. But imagining the end has its uses, the artist maintains, and for ‘Hopscotch (Rayuela)’, curated by Cecilia Alemani for the upcoming Art Basel Cities Week in Buenos Aires, Cattelan is inviting Argentine residents to join him in fantasy acts of remembrance with his collaborative artworkEternity. For the upcoming Art Basel Cities Week in Buenos Aires, Cattelan is inviting Argentine residents to join him in imaginary acts of remembrance with his collaborative artwork Eternity. 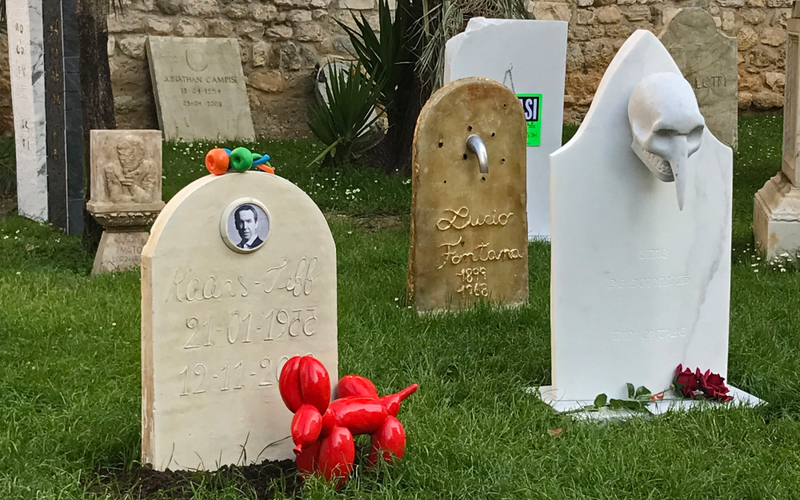 Cattelan’s previous cemetery project in Carrara, Italy, asked students to create gravestones for their artistic heroes or anti-heroes. Photo by Luciano Massari. Cattelan produced a version of Eternity in April at the Accademia di Belle Arti di Carrara, where the art students made homages to both living and deceased artists such as René Magritte, remembered with a wooden door laid flat on the ground, and Marcel Duchamp, honored with an open toilet seat. A grave for Jeff Koons featured a wilting bouquet of tulips in the style of his ‘Celebration’ series. Book your trip now and experience Eternity during Art Basel Cities Week in Buenos Aires, September 6-12, 2018. To participate in Eternity, Argentine residents are invited to apply online through July 10, 2018. To learn more about the project, application process, and proposal requirements visit artbaselcitiesba.com/eternity.